When it comes to things to do in San Diego, the nightlife scene ranks high in the list. The craft beer mecca of the city seemingly sports one brewery for every hundred residents, yet its nightlife isn’t limited to pints of pale ales. A flourishing cocktail scene has hipsters sipping labored concoctions in North Park and Little Italy’s stylish haunts, while Pacific Beach bars teem with twenty-somethings, and Gaslamp District nightclubs pulsate late into the night. Plus, the city’s tropical environs have inspired a reinvigorated tiki scene that’s lured the world’s largest gathering of Mai Tai worshippers, Tiki Oasis. After catching the sunset, stroll San Diego’s varied neighborhoods, and you’ll discover the laid-back beach town keeps humming long after the surfboards have been stowed. What is it? 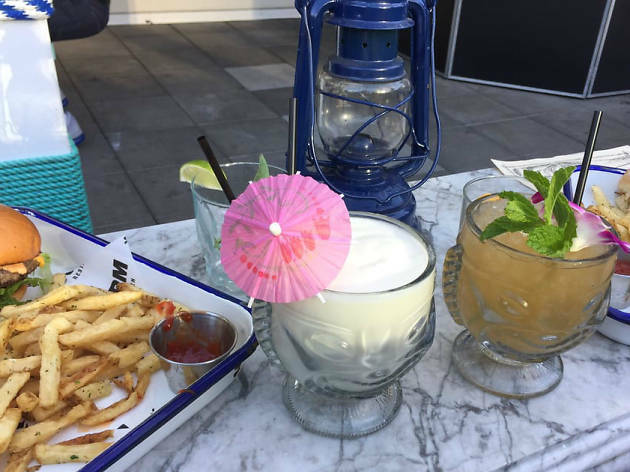 Bask in the trade winds at this tropical rooftop bar overlooking Petco Park stadium. Why go? Sheathed in bold patterned tile, lush living walls and mounds of citrus, the eye-candy, open-air bar channels a mid-century beach resort with bright, vacation-worthy drinks. Sip mojitos, Aperol Spritzes and Singapore Slings under a canopy of colorful nautical rope, nosh on street tacos and Cubano sandwiches and root for the Padres across the way. What is it? 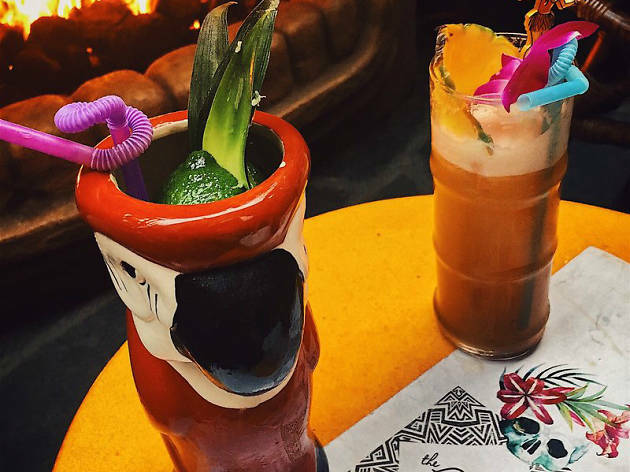 Peer behind a vine-shrouded doorway within Little Italy’s famed cocktail haven Craft & Commerce, and you’ll discover this bewitching, tiki-filled grotto. Why go? Make an offering—or reservation—and you’ll be led through a darkened cave with glowing skulls to an exotic hideaway with rippling cascades, a ceiling blanketed in colorful glass buoys, and a glass bar top displaying treasures from local tiki bars past and present. An illustrated menu features tiki classics and False Idol originals such as Alkala the Fierce which comes in a shareable bowl with flaming volcano. What is it? This retro-themed barcade in the Gaslamp is a fun-loving tribute to the ’80s. Why go? 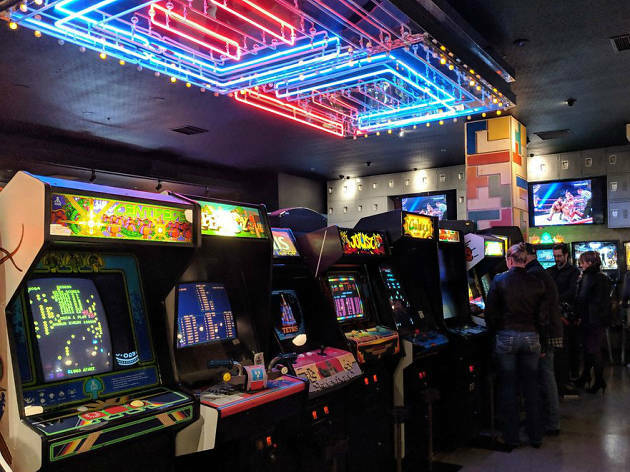 Before you plunk your first quarter into Dig Dug, reminisce at the pitch-perfect recreation of an ’80s childhood bedroom with nostalgia-inducing toys, movie posters and game consoles. 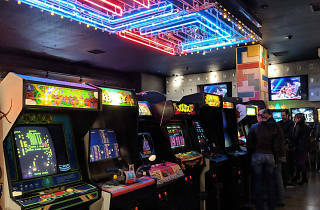 Nab a cocktail at the bar while The Goonies and The Karate Kid play overhead, and shoot for the high score on Donkey Kong Jr. and Addams Family pinball. When it’s game over, power up with Vietnamese chicken wings and Buffalo cauliflower pizza. What is it? The light-filled, North Park cocktail parlor is a modern take on an old-timey drugstore and soda fountain. Why go? Under a solarium-like glass roof, 46 sparkling taps dispense not only beer and wine, but also craft spirits and batched cocktails. Select one from the activity book-inspired menu with 80 drink options listed alongside crossword puzzles, mazes and word games. Adjacent Soda & Swine offers a variety of savory meatballs stuffed into sliders, subs or set atop a bowl of spaghetti. What is it? This Pacific Beach tiki bar enchants with movie-set worthy design and a clandestine entrance. Why go? 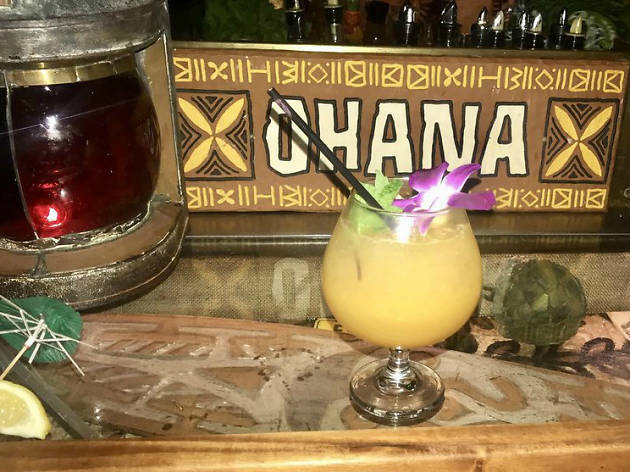 Hidden behind a freezer door in an adjacent poke shop, this Polynesian fantasy world teems with lava rock, neon hula gals and potent rum drinks served in fanciful tiki mugs. The fun doesn’t end with the clever banana-octopus garnishes; certain drink orders trigger a theatrical thunderstorm with hologram tiki projected behind the bar. A contemporary menu swaps traditional deep-fried pupus for bao buns, char siu duck noodles and poke bowls. What is it? Hop between four stylish bars on a lively crawl through this uber-hip boutique hotel. Why go? Opened in 2017, The Pendry took a page from Vegas hoteliers with numerous restaurants and bars housed within one fashionable interior. Start with a rosé slushie at the rooftop Pool House, then sample local craft brews at the boisterous Nason’s Beer Hall. Sit down for an expertly-made cocktail in the buzzy lobby bar, Fifth & Rose and end the night dancing on tables at the swanky, subterranean Oxford Social Club. What is it? Enjoy cocktails and movies around an amoeba-shaped pool at this indoor-outdoor, mid-century-themed eatery within The Pearl Hotel. Why go? A lively bar scene picks up early for happy hour oysters, char siu pork buns and craft cocktails such as the Beach Break with coconut fat-washed tequila, ancho chile liqueur and firewater bitters. Linger on Wednesdays for classic flicks such as Grease and Austin Powers are projected above the glowing pool as a spirited audience sips cocktails and noshes on shrimp kushiyaki skewers. What is it? Kitschy good fun is had by all at this Gaslamp District bar strewn with vintage trailers and lounge chairs fashioned from wheelbarrows. Why go? The yacht rock is loud, the Miller High Life is cold and the TV dinner plates come with Jell-O shots. Pull up a shopping cart-stool to the bar or settle into one of the cozy trailers outfitted with plastic-sheathed sofas and TV trays. What is it? 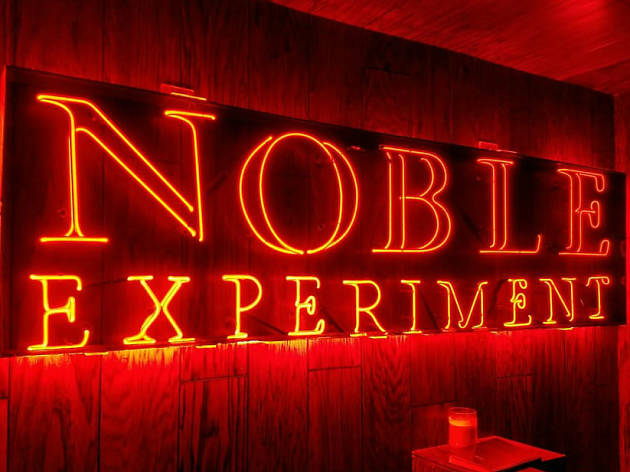 Noble Experiment is an atmospheric speakeasy hidden within a casual East Village beer bar. Why go? If it weren’t for the towering wall of gold skulls, this snug cocktail lounge might be mistaken for an upscale lobby bar with soaring wood-paneled walls, chandeliers and a ceiling adorned with ornately framed oil paintings. Skip the diminutive menu of classics and ask the barkeep whip you up something special. What is it? Pair saisons with sprinkles when this doughnut shop transforms into a craft beer bar on Friday and Saturday evenings. Why go? Starting at 5pm, this downtown shop taps 24 beers selected to pair with a rotating selection of freshly baked doughnuts. 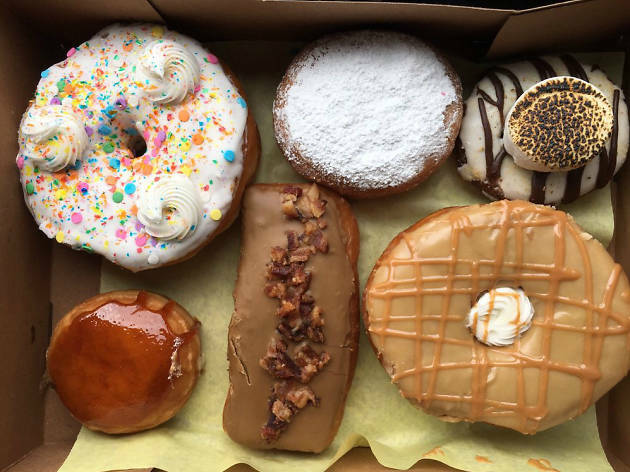 The colorful Insta-worthy confections include a pink Homer’s Donut, a Big Poppa stuffed with a Kellogg’s Pop Tart and the butterscotch-glazed Butter Beer (which comes adorned with Harry Potter glasses). Looking for a place to wine and dine? From stylish dining rooms to hip beachside eats, the local food scene is exploding with creativity and bonafide kitchen chops. 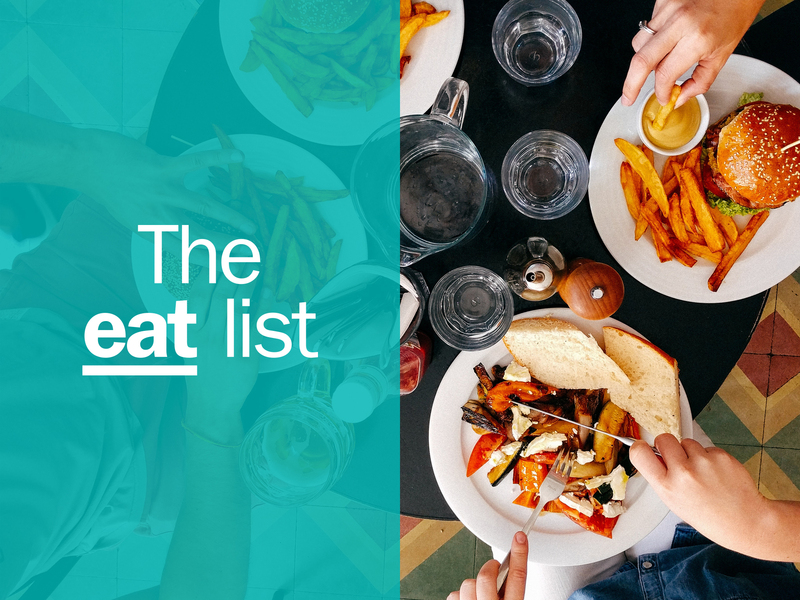 Find all the best eats with our guide to the best restaurants in San Diego.